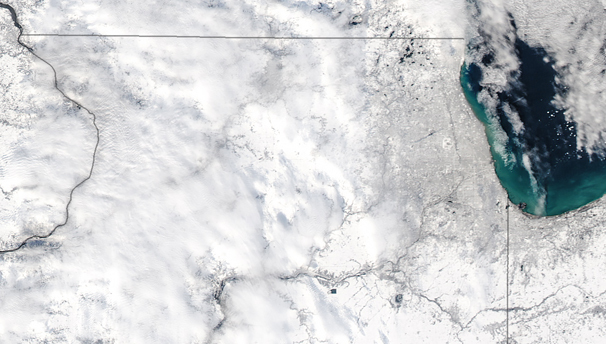 Images from space were taken of Chicago's largest November snowstorm in 120 years. O'Hare International Airport recorded 11.2 inches after the two-day storm, and many suburbs had deeper totals. Just our luck, turns out NASA had a satellite with a high-definition camera flying by. 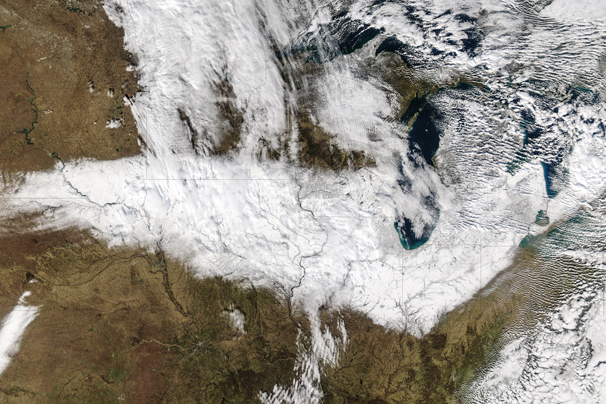 The pictures are stunning: a blanket of snow that stretches from northeastern Nebraska to Chicago to nortwestern Ohio all painted white. NASA's Aqua satellite took the image at 1:15 p.m. Sunday.